Maria’s grasp of what we were trying to do (eventually she could have filled in for any of us), her personality and style (she caused people to be engaged) helped greatly in making this program a success. If we do something like this again, we will absolutely call Maria first. Maria brings enthusiasm, inquisitiveness and a genuine interest in people to the table. I have been particularly impressed by her work with young people, scientists, world-class luminaries and the effort she pours into research and preparation behind the scenes. Her quick wit, straightforward style and deep understanding of the issues presented have made the events successful as well as entertaining. 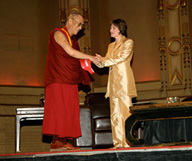 Trustee and Founding Director of the Dalai Lama Center for Peace and Education. 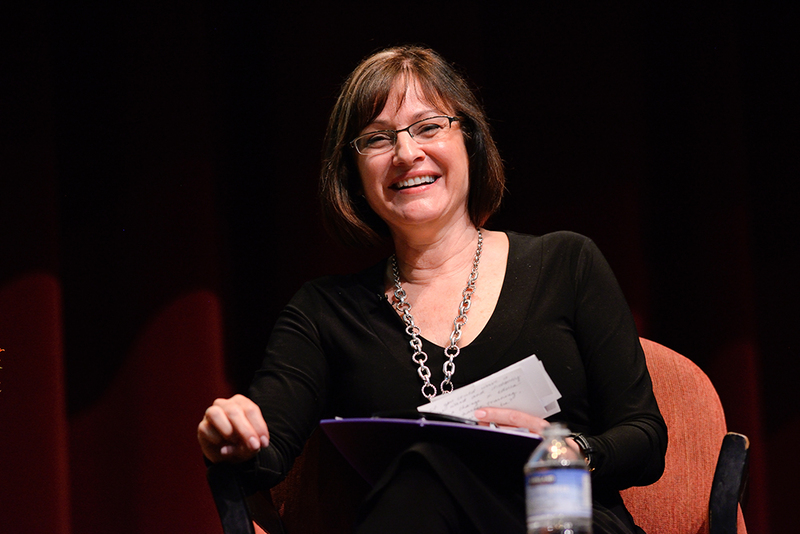 Maria was instrumental in planning and moderating the successful United Way Learning Summit on Middle Childhood. In the lead up to the event, Maria invested time in getting to know and understand the subject matter as well as the work of each speaker. That understanding improved the quality of each session substantially. Maria’s considerable production experience and technical knowledge helped improve the planning and logistics for the event. 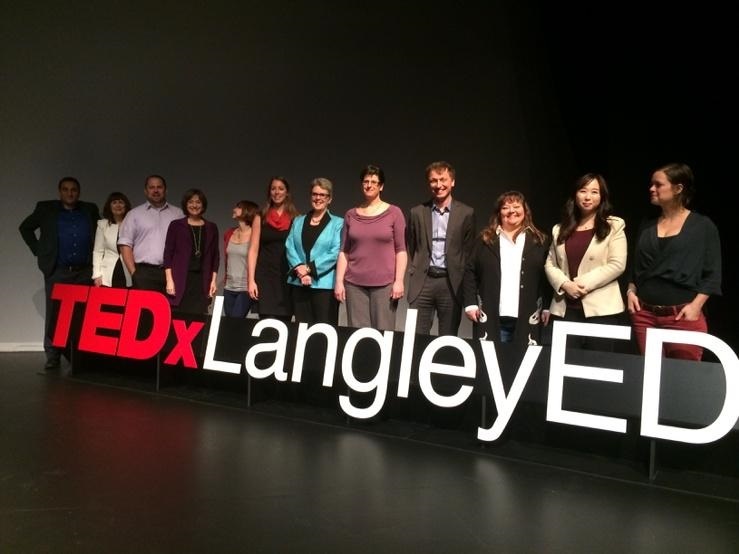 A powerful collection of speakers and TED videos challenged our current mindsets and unleashed deep conversations designed to improve students’ learning and educators’ instructional practice. Maria was the event’s facilitator and moderator. 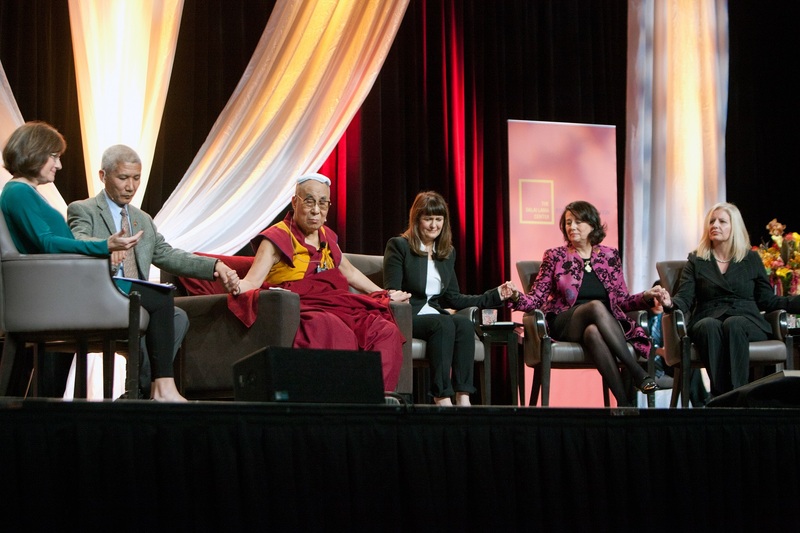 On October 21, 2014 Vancouver welcomed the Dalai Lama back for an inspirational discussion about educating the hearts of children in our lives. 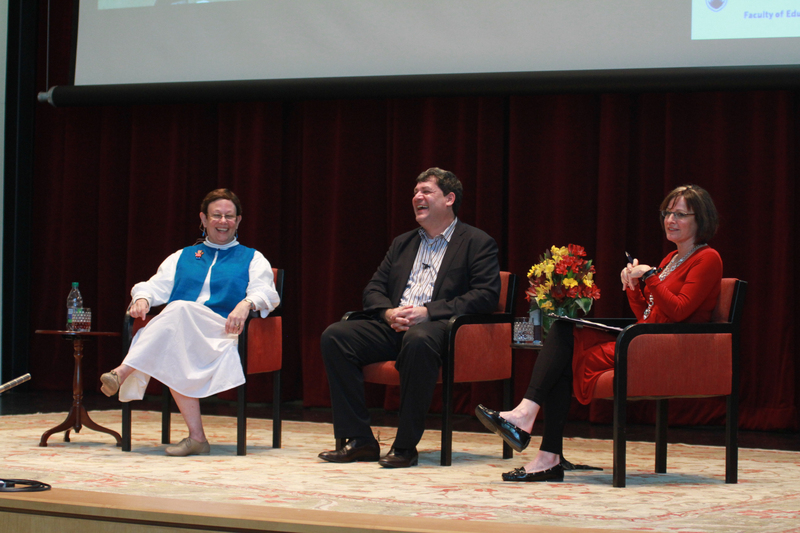 Maria moderated the dialogue featuring His Holiness, Janet Austin, Kim Schonert-Reichl, Peter Senge and Tamara Vrooman. Since 2013, the Dalai Lama Center for Peace and Education has been bringing together scientists, educators, parents, out-of-school care providers, health and wellness professionals, recreation and community leaders – to discuss how all those who care for and about children can help kids flourish. Speakers have included Goldie Hawn, Adele Diamond, Dan Goldman, Erin Gruwell, Linda Lantieri, Kim Schonert-Reichl, and others. Produced and moderated by Maria LeRose. Maria Moderated a series of dialogues about Contemplative Teaching and Learning. Contemplative Teaching promotes awareness of self, others and the world by infusing classroom life and teaching with experiential practices such as mindfulness, yoga, tai chi, reflective journaling and others. It deepens learning and builds inner strengths and skills including attention, self-regulation and compassion. One of the signature programs of the Dalai Lama Center for Peace and Education is Educating the Heart series. Over the years, these evening talks have welcomed renowned scientists, educators, community leaders and politicians from Vancouver and beyond to discuss a variety of topics - from science and its relationship to spirituality, to research related to educating the heart, to compassion and its contribution to the public good. Maria has moderated talks with Sir Ken Robinson, Daniel Siegel, Shefaly Tsabary, Adele Diamond, Kim Schonert-Reichl, Sharon Salzberg, Clyde Hertzman, and many other thought leaders. Watch Maria discuss parenting in the 21st century with Dan Siegel. United Way presented Vancouver's groundbreaking 2010 Middle Years Development Instrument (MDI) developed by Dr. Kimberly Schonert-Reichl. Maria LeRose (pictured left) moderated a Round Table discussion with (from left to right) Dr. Schonert-Reichl, the principal investigator of the study, and a professor in UBC's Faculty of Education and the Human Early Learning Partnership (HELP); United Way of the Lower Mainland President & CEO Michael McKnight; Vancouver School Board Superintendent Steve Cardwell and Clyde Hertzman, Human Early Learning Partnership (HELP). More than 3,000 Grade 4 students in Vancouver completed a survey about their feelings, thoughts, assets and strengths. They also shared their needs and wishes during the after-school hours. These elements are strongly linked to well-being, health, academic achievement, and success throughout the school years and in later life. A quarter of Grade 4 public school children in Vancouver say that they are not doing well in overall health and well-being. The finding is included in a new study, the result of a research partnership between the Vancouver School Board, United Way of the Lower Mainland, and the University of British Columbia's (UBC) Human Early Learning Partnership (HELP).